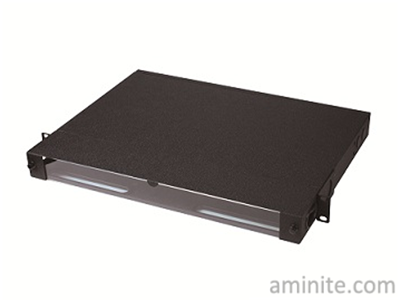 Aminite supply a line of MPO Fiber Optic Patch Panel is used for trunk cable connection and distribution cable management in distribution area of MDA, IDA or HDA data centers. It could be installed in 19 inch racks and cabinets. 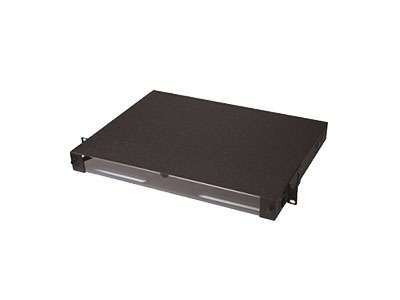 It could accommodate MPO cassette modules or MPO adapter panels. 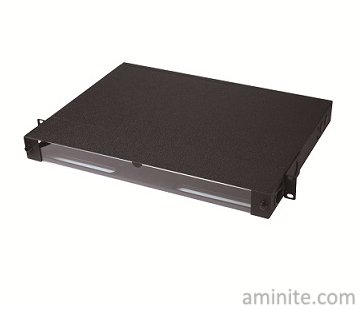 Aminite offers a line of MPO Patch Panel Fiber Optic Connector for burn-in and testing of MPO network components and systems. 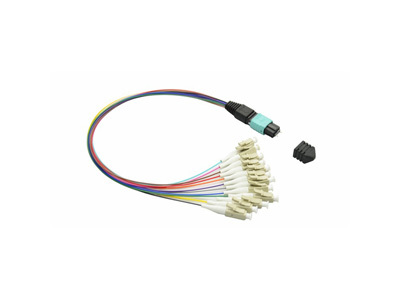 These MPO Loopback Assemblies connector are used to effectively test transmitter capability and receiver sensitivity, particularly for telecom and datacom requirements. The singlemode or multimode MPO connector are multifiber connections used in high-density backplane and Printed Circuit Board (PCB) applications in data and telecommunications systems. The MPO fiber cable connector offers up to 12 times the density of standard connectors, providing significant space and cost savings. MPO fiber connectors utilize precision molded MT ferrules, with metal guide pins and precise housing dimensions to ensure fiber alignment when mating. The MPO fiber cables are packaged in a rugged, compact housing for the highest density available for these applications. 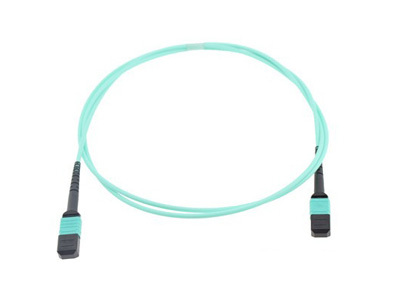 MPO loopbacks standard products include a female MPO interface 12-fiber with 8-fiber (QSFP) option or 100G, singlemode or multimode versions. Our compact and rugged housing design provides high stability, reliability, and repeatability. MPO Fiber Optic Patch Panel is used for trunk cable connection and distribution cable management in distribution area of MDA, IDA or HDA data centers. It could be installed in 19 inch racks and cabinets. It could accommodate MPO cassette modules or MPO adapter panels. 3、1U MPO Fiber Optic Patch Panel can accommodate 4pcs of MPO cassette modules. MPO cassette modules can install duplex LC adapters with the capacity up to 96 fibers maximum, simplex SC adapters with the capacity up to 48 fibers maximum and MPO adapters with the capacity up to 288 fibers maximum. 4、2U MPO Fiber Optic Patch Panel can accommodate 8pcs of MPO cassette modules. MPO cassette modules can install duplex LC adapters with the capacity up to 192 fibers maximum, simplex SC adapters up to 96 fibers maximum and MPO adapters up to 576 fibers maximum. 5、3U MPO Fiber Optic Patch Panel can accommodate 12pcs of MPO cassette modules. MPO cassette modules can install duplex LC adapters with the capacity up to 288 fibers maximum, simplex SC adapters up to 144 fibers maximum and MPO adapters up to 864 fibers maximum. 10、 The density is more than 4 times of traditional splicing patch panels. It saves much room of cabinets, improves use ratio of cabinets, and creates value of data center construction. 11、Modular design is easy for upgrade and maintenance. 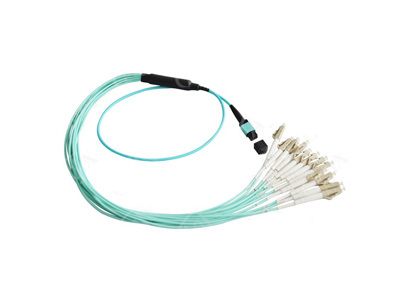 Aminite supply a line of MPO Patchcord Cable Assemblies Fiber Optic Connector for burn-in and testing of MPO network components and systems. These MPO Loopback Assemblies connector are used to effectively test transmitter capability and receiver sensitivity, particularly for telecom and datacom requirements. Aminite supply a line of MPO Hydra Cable Assemblies Fiber Optic Connector for burn-in and testing of MPO network components and systems. These connector MPO Male (with guide pins) assembled with 0.9mm cable to single-fiber connectors. AMINITE's MPO Fan-out Cable Assemblies are designed for high density applications with require high performance and speedy installation without onsite termination.